A few weeks ago I had the brilliant idea of preparing for my PCT through hike with another through hike - the Wapack Trail here in NH. At 21 miles long it doesn't quite make the "grand trail" lists but completing the whole thing would still count as a through hike (to me..). Unfortunately my friend who I conned into going caught bronchitis on Monday and wasn't feeling up for it. Instead of a 13 mile day, an overnight at windblown followed by an 8 mile day to her car, I just did the thirteen miles, turned 180 degrees in the morning and came right back to my car at the northern terminus. I'm tired, so here are some photos! The north sides of the hills were still icy on Sunday, but this was almost all gone Monday. Look at that taunt pitch! All the literature about the trail warns about a complete lack of "year round" water sources but I passed numerous large streams, ponds, beaver dams etc. Anyway, it was a good slog. I hope that the difficult trail conditions mean 13 miles is similar to 15 or 18 miles of the relatively smooth, graded PCT. 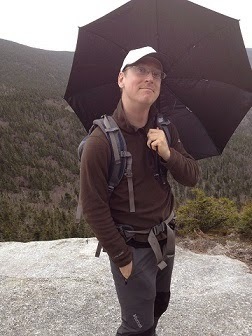 Unlike the white mountains, the temperatures on the Wapack ranged from a stifling 60 degrees F to a chilly 24 at night. Thanks to the moderate temps I was finally able to use my trail runners and start getting my feet used to hiking in them which seems rather important. I took today (Monday) off from work to do the overnight and it felt pretty damn good not to be in the office, so hopefully that feeling will continue for the next five months!